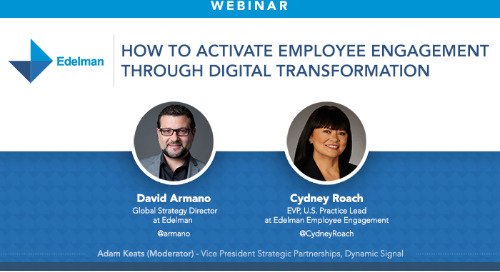 Join David Armano, Global Strategy Director of Edelman, and Cydney Roach, U.S. 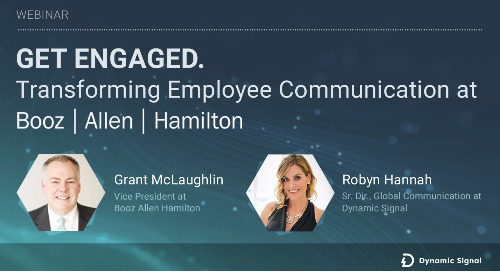 Practice Lead for Edelman’s Employee Engagement Practice, for an exclusive webinar with Dynamic Signal. 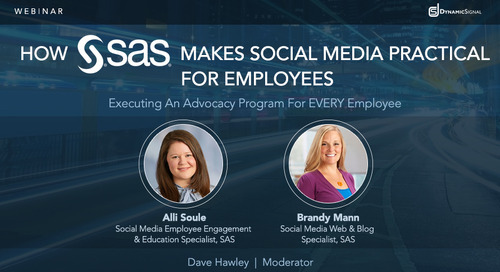 SAS, a leader in business analytics software and services, recently launched an employee advocacy program and have seen impressive results. 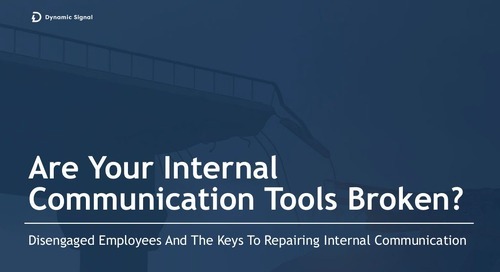 Learn more in this presentation. 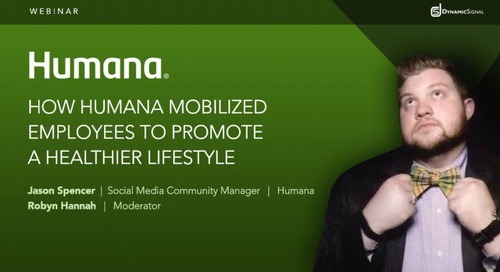 Slides from our webinar with Humana. 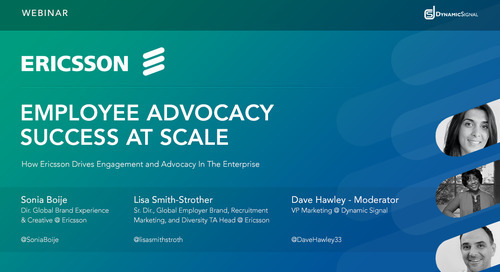 Jason Spencer discusses how their employee advocacy program has succeeded in a regulated industry. 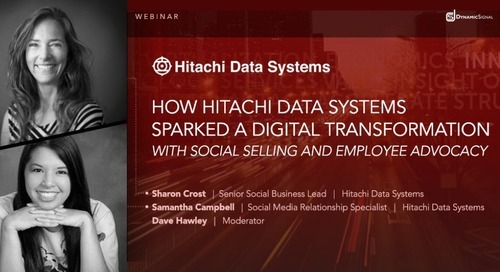 Hitachi Data Systems (HDS) uses data to power the digital enterprise for better business outcomes. 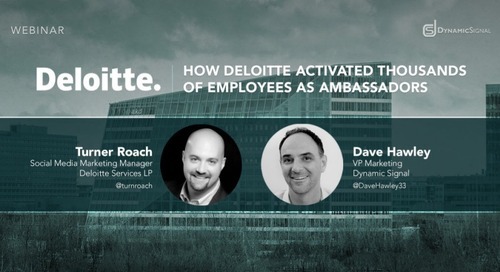 One of Thomson Reuters Top 100 Global Innovators, the company is reshaping how businesses work. 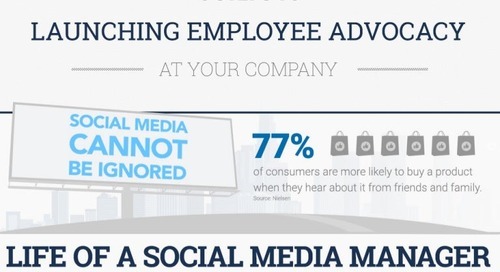 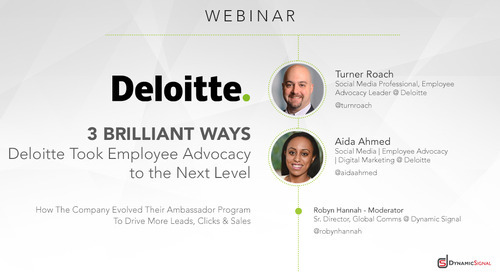 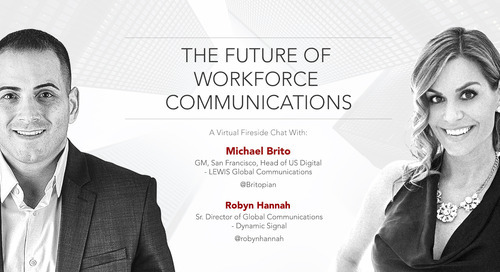 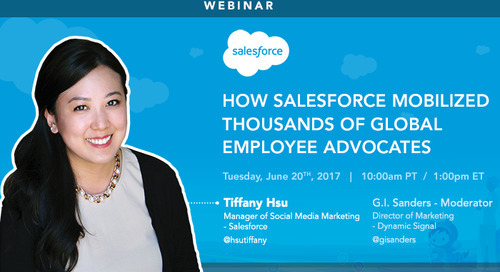 Turner Roach, Social Media Marketing Manager at Deloitte, joins the Dynamic Signal monthly webinar to discuss their employee advocacy program. 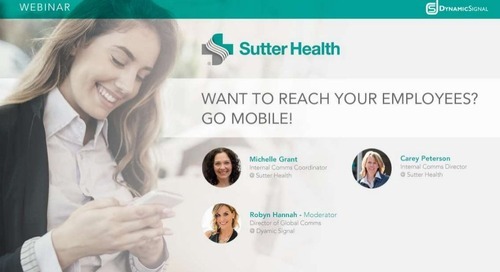 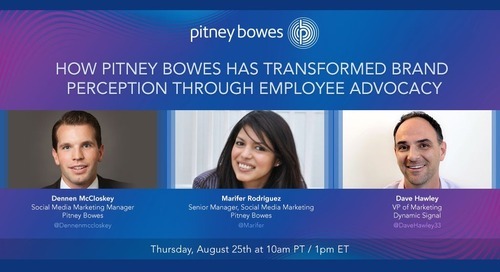 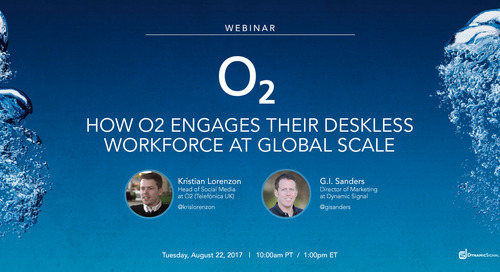 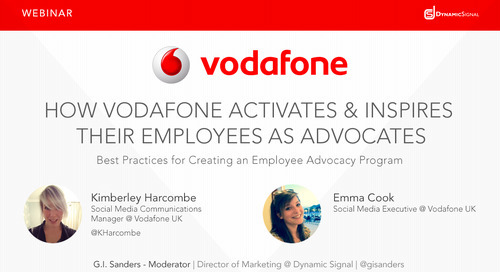 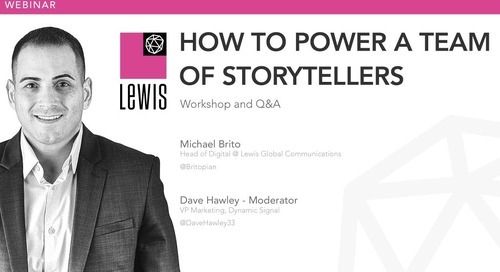 In this Slideshare presentation Dynamic Signal customer Pitney Bowes outlines the global expansion and success of their employee advocacy program. 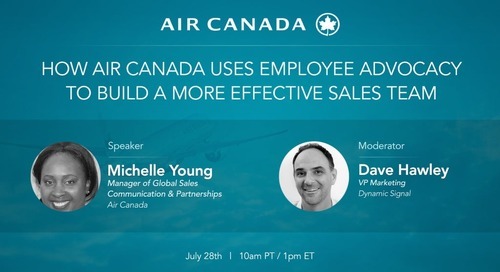 In this exclusive presentation Air Canada shares their approach to Employee Advocacy, including goals, strategies and results of their program. 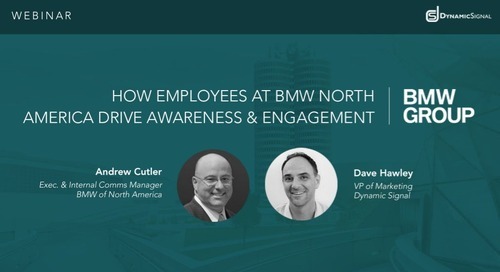 BMW North America transforms internal communications into an engagement and awareness tool with Dynamic Signal's employee advocacy platform.